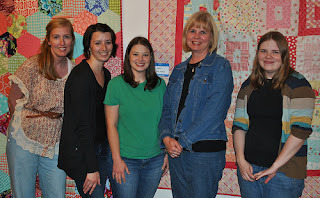 Two weeks ago the OKC Modern Quilt Guild held our first show, and what a great event it was! 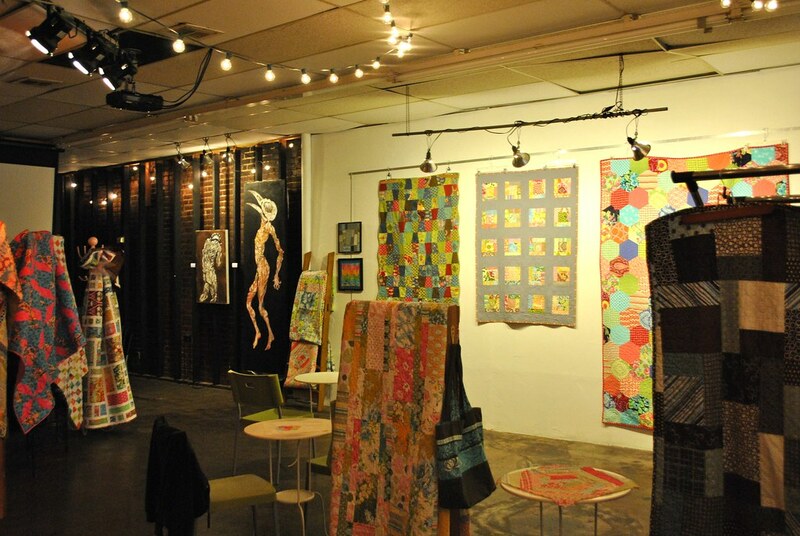 The show was hosted by The Venue, a cool little art gallery in The Plaza District near Downtown Oklahoma City. 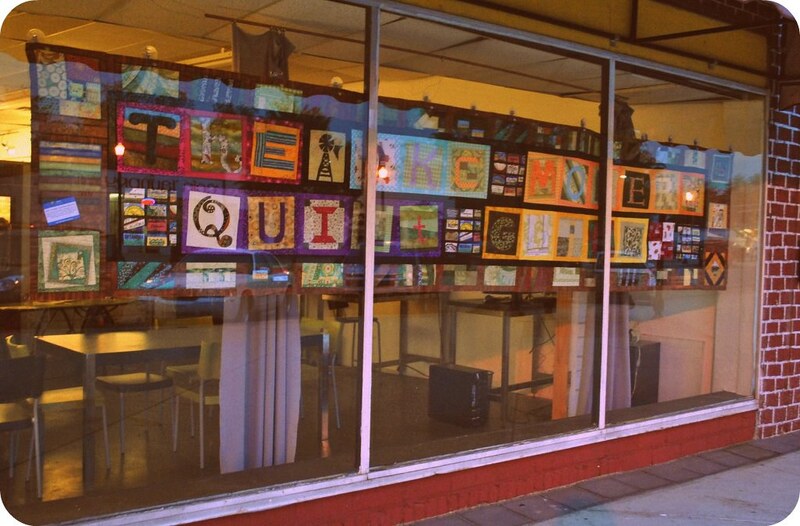 The highlight of the show was our banner which hung in the front window of the space as you entered the art gallery. The banner includes blocks made by many members of our group. 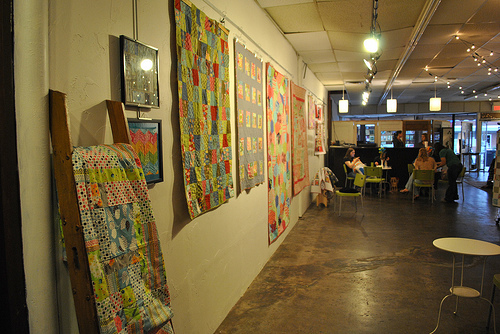 The Gallery itself showcased over 25 quilts. 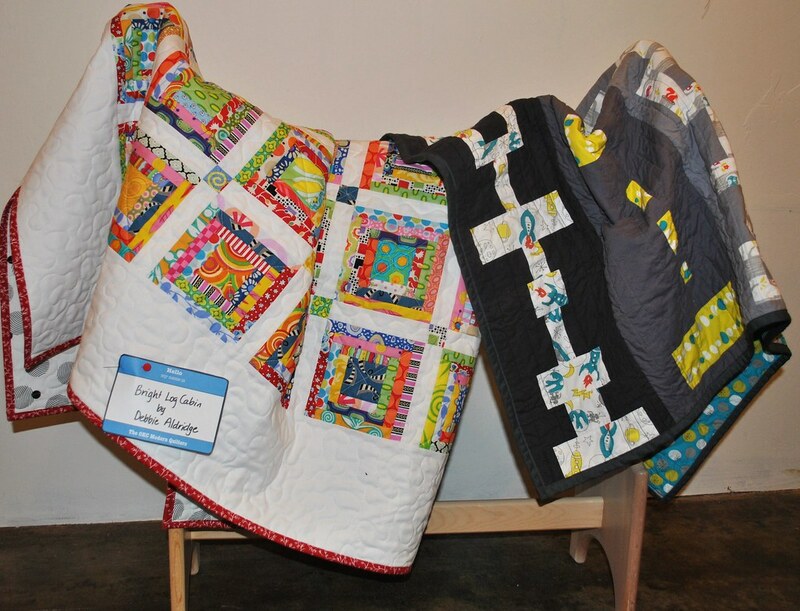 The quilts were absolutely amazing and inspiring! Along with the quilts, we had a few smaller items on display, including items from our swaps. To see more photos from our show visit Flickr. 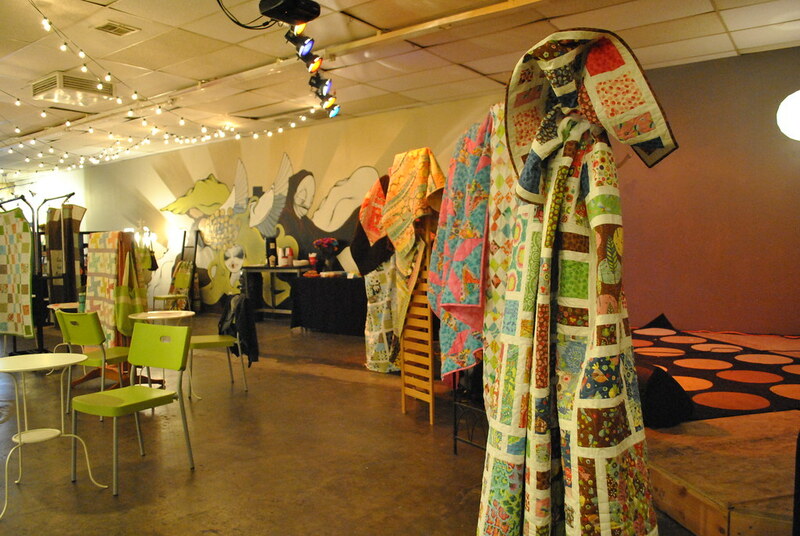 Special thanks to Oklahoma Quiltworks, The Venue, and all the wonderful girls who helped make the show possible. Its amazing to see how far our group has come in just a year! The OKC Modern Quilters Banner! This was a group sewing project where everyone designed and stitched a block or two. 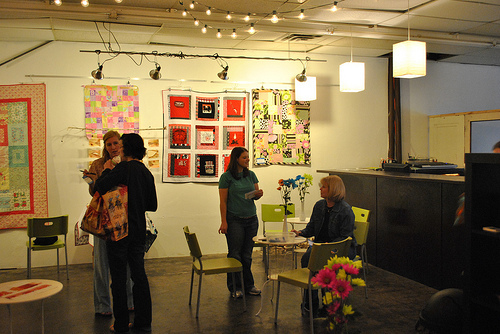 It reads: "THE OKC MODERN QUILT GUILD". 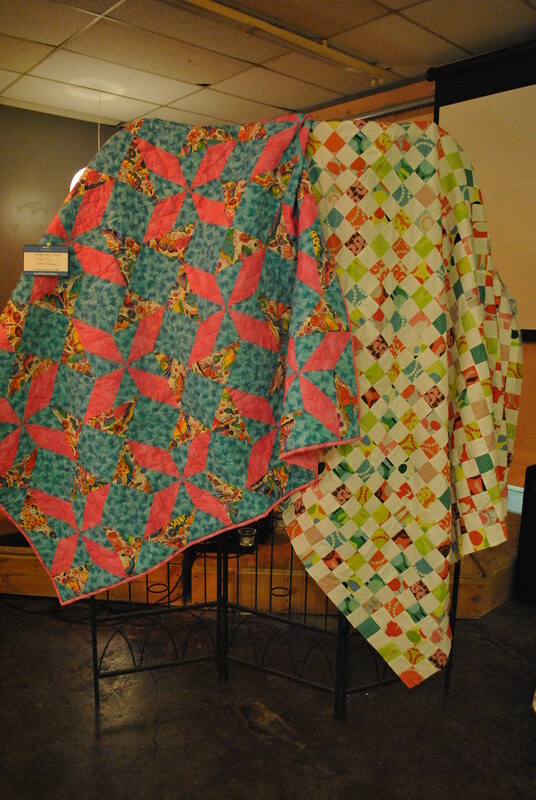 We will continue to finish it with a quilt back, free motion quilting, and binding. It is "sew" beautiful and full of color and character. Our banner will be displayed at all of our meetings and shows in the future. Thanks girls!!!! !